3ality offers complete solutions for all kinds of content creators interested in creating stereoscopic 3D. Whether you want to add the Stereo Image Processor -- the world's most accurate alignment tool -- for the systems you already own, or want to outfit an entire production, 3ality Technica can provide with the hardware and software to realise your vision. To rent a system, contact a 3ality Technica team member to assist in a design that meets your production specifications. 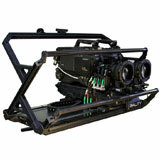 Stereoscopic systems are precision tools designed to align two cameras to a sub-pixel level of accuracy. The 3alityTechnica family of tools enables creative producers, directors and cinematographers to create 3D on the same schedule they’ve established for their 2D productions. Choose from among manual, partially automated or fully robotic systems or augment the systems you already own with 3alityTechnica alignment tools. 3alityTechnica can provide you with a solution you seek for everything from a single-system narrative project to a multi-camera live event. 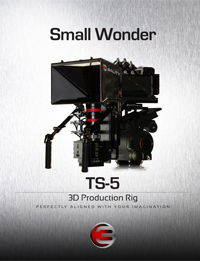 3ality Technica's TS-5 miniature beam splitter offers the ultimate in both adaptability and precision. 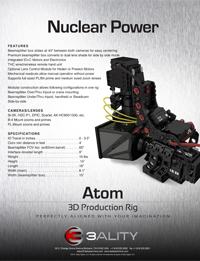 The TS-5 can be used handheld or perfectly balanced when mounted on a Steadicam. 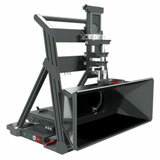 It's made to fit into those tight spaces and weight-constrained spots that won't accommodate a larger rig. Weighing just over 17 pounds without cameras and lenses, it's easy to maneuver, ensuring that you'll get the shot every time. 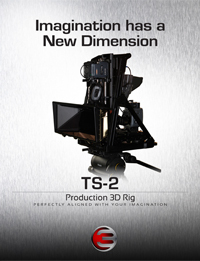 Designed by cinematographers and engineers, the TS-2 is the workhorse of the 3ality Technica family. This fully-motorized system accommodates a variety of cameras and lenses. Whether shooting a feature film, sporting event, on a stage or in a distant location, this beam splitter is your answer to quick and accurate setups. 3ality Technica makes your imagination possible. A full-size side-by-side S3D system, 3ality Technica's fully-motorized TS-4 brings a new dimension to the world you want to capture. This is the perfect system for capturing the fly ball, the flaming guitar solo, or that battlefield action scene. Go wide. Go deep. Use a variety of full-size cameras and lenses. The wide inter-axial of the TS-4 makes sure you can capture it all. Controlled by the 3Space™ calibration software, you can be sure to capture the world just as you see it. The 3ality Technica Stereo Image Processor™ 2101 (SIP-2101) is the definitive stereo video processing device for High Definition (HD) digital video streams. 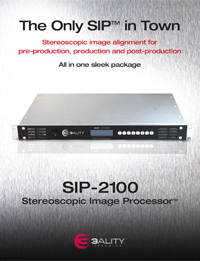 Designed for production, post-production, and distribution environments, the SIP-2101 provides a number of functions designed to optimize the stereoscopic image pair. The simple, integrated web-based interface provides the user - whether it's the stereographer on a live shoot, an editor in a post-production house, or the quality assurance operator in a broadcast center - with complete stereo information for every shot. When integrated with 3ality Technica's precisely-automated rigs in production environments, corrections are applied dynamically, resulting in near pixel-perfect S3D imagery right from the camera. 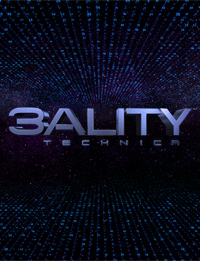 3ality Technica 3Flex electronics provide powerful image analysis tools and integration among rigs, cameras, and other production equipment. 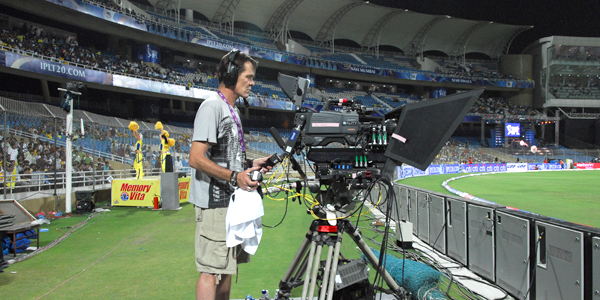 The 3Flex Systems can be configured for feature or broadcast productions, with single-camera or multiple-camera systems. The system provides precise alignments during prep, constant monitoring, and control over those alignments during production. In addition, it gives you the ability to capture metadata of all axes of movement for increased accuracy during post production. Stereographers and technicians can choose any of several viewing modes and analysis tools to monitor, assess, and optimize 3D. 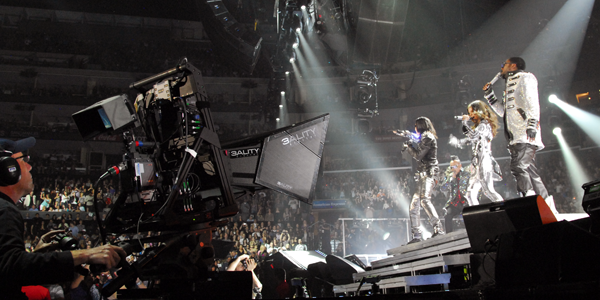 The system provides constant feedback to the 3ality Technica rig systems, offering near perfect matching of geometry and color during even the most complex moving shots. All 3Flex electronics can be networked and configured, monitored, and controlled from the 3flex Control Center, the 3flex System Manager and the 3flex Control Panel, either via a PC or a hand-held iPad/iPhone device. At the heart of the 3ality Technica 3Flex system, the Stereo Image Processor's (SIP™) powerful image-processing algorithms provide the foundation for the 3Space family of software tools. 1RU rack mount for one SIP2 processor. Ruggedized chassis for one SIP2 processor. For multi-camera shoots, the 3ality Technica Stereo Image Processor 2900 (SIP 2900) provides eight SIP2 processors in a single 6RU chassis with redundant power supplies, giving you the ability to control up to eight cameras simultaneously. 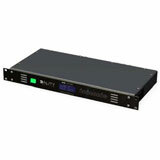 Engineers can monitor, assess, adjust, and control the show from one, powerful, rack-mounted control center. Real-time robotic controller for Technica rigs. Touch screen, two digital ports, and four analog ports. Compact multi-function hub for mobile 3D operations. Sub pixel alignment in under five minutes - at the touch of a button. Place graphics anywhere in 3D space, live and in real-time. 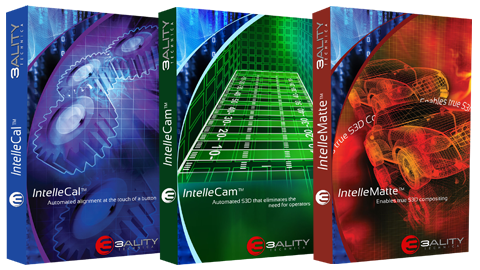 3ality Technica's IntelleSuite family of integrated hardware and software solutions revolutionizes the production of live-action Stereo 3D (S3D) by automating the most complex and time consuming processes associated with stereo shooting. Computerized operation ensures fast, easy, reliable, and repeatable results, while reducing or eliminating additional labor. IntelleSuite puts the control back in your hands. 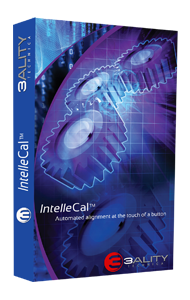 3ality Technica's IntelleCal provides automated camera system alignment. Just mount lenses and push a button, and the system automatically profiles and matches the lenses, then performs a multi-step rig alignment. IntelleCal allows complete alignment work in less than five minutes, compared to the 30 to 45 minutes required for manual setup. 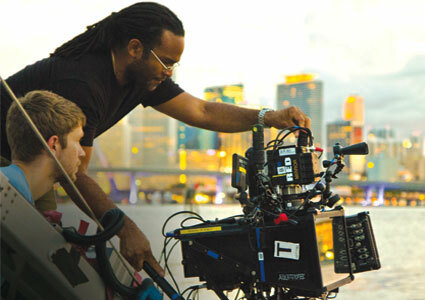 It also lowers production costs by allowing camera operators to easily set up their own cameras. Automatically creates lens matching data. Automation aligns system on five axes through entire zoom range. 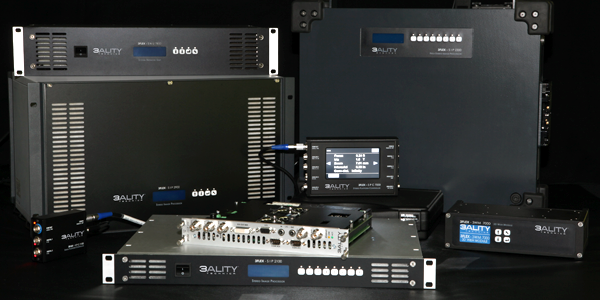 3ality Technica's IntelleCam provides automated S3D control while you're shooting, eliminating the need for S3D operators (convergence pullers). IntelleCam allows you to set parameters, such as maximum divergence, minimum convergence, near/far crossover. The system continuously manages S3D composition within those parameters — throughout a shot — without manual intervention. This revolutionary tool dramatically reduces personnel costs while increasing quality, consistency, and precision. Automatically manages S3D settings, including depth budget, position relative to depth, convergence, and interaxial. Parametric settings ensure constant, valid S3D positioning without manual changes. 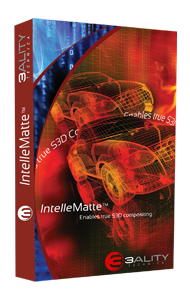 3ality Technica's IntelleMatte is the S3D application everyone has been waiting for. IntelleMatte enables live game graphics to be positioned so they appear in front of the players, but behind anyone who walks closer to the camera: no more strange occlusions, no more graphics pushed so far out of the screen that they are hard to watch. Analyzes standard HD video inputs. Dynamic depth map generation for accurate compositing. Works with any replay or graphics source. If you have a question related to one of our products or our company (including sales or media inquiries), please feel free to contact us. If you would like to send us an email, please fill out the form below and one of our representatives will respond to you shortly. 55 East Orange Grove Ave.